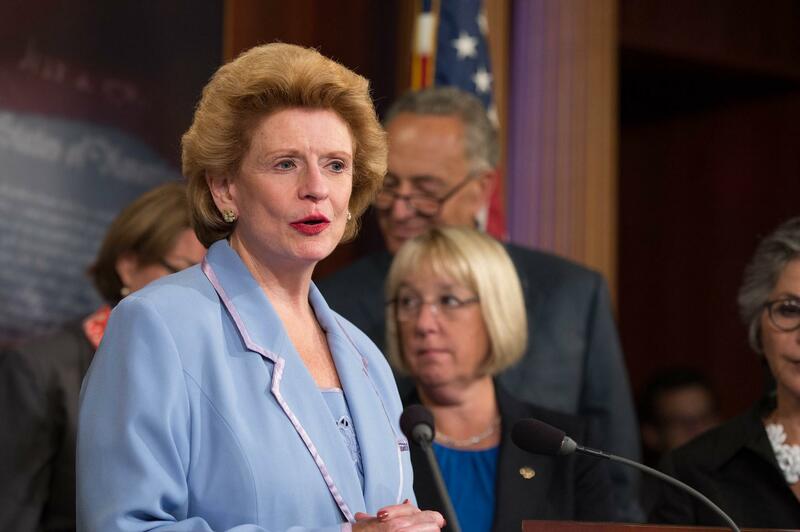 Senator Debbie Stabenow (D) is running for reelection against Republican candidate John James this November. Democratic Senator Debbie Stabenow was elected to the United States Senate in 2000. She now serves as the senior senator for Michigan. This November, she is running for reelection against Republican John James. Stabenow joined Stateside to talk about her reelection campaign and the current political climate in the United States, particularly in light of a recent shooting at a Pittsburgh synagogue. Throughout this election season, we've extended numerous invitations to Senator Stabenow's Republican opponent John James to join us for an interview. His campaign has either declined those requests or, as with our most recent attempt, not responded. Stabenow says that the best way voters can stand up to bigotry is to vote in the midterm elections for officials who represent the values they want the country to uphold, and who stand for a message of unity over division. The senator says she also wants to see action taken when it comes to gun control. “When we were kids, we were doing fire drills, and now children are doing active shooter drills, and it’s just not okay,” Stabenow said. Stabenow also said she supports an assault weapons ban, and thinks that military weapons should not be in the hands of civilians. Listen above to hear more about why Stabenow believes that next month’s election is the most important one of her lifetime. The second and final debate between the Republican and Democratic candidates for governor aired Wednesday night. Former state Senate Minority leader, Democrat Gretchen Whitmer and state Attorney General, Republican Bill Schuette used the opportunity to reiterate their agendas for Michigan. They attacked each other’s records in their respective offices on issues like the environment and auto no fault insurance. At times during the debate, the candidates also needled each other. Like when Whitmer accused Schuette of pivoting to the same talking points. Michiganders passed Proposal 2 on November 6, drastically changing the way districts are drawn in the state. Read our article about what the proposal will do below. Voting in Michigan is about to get much easier, after voters passed Proposal 3 on November 6. Read our article about what the proposal will do below.